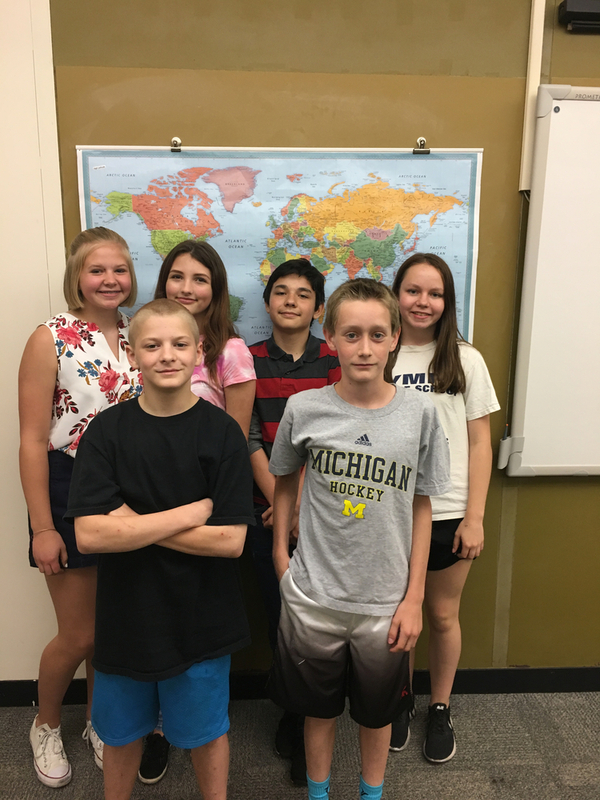 Since the beginning of the 2017/2018 school year, 7th graders have been working on learning all they can about where the countries of the world are located, as a part of their Social Studies curriculum. Following a final assessment, these students showed the greatest growth in their class. Meagan H., Jayson M., Taylor H., Lily W., and Lucas Y. showed the most improvement overall. Meagan improved the most for the entire 7th grade, and Luke P. was the only student that achieved 100% on all the maps!